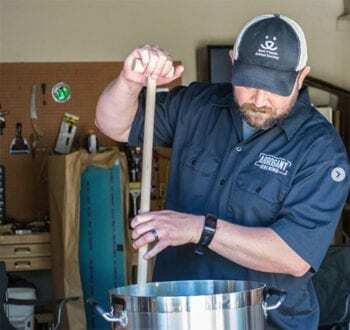 It’s a beer-fueled, meat-smoking spectacle when homebrewer Ryan Van Liere schedules a brew day. Ryan Van Liere — The Flying Bassoonist — and his homebrew setup. But brew days are limited, unfortunately, now that orchestra season’s started. Orchestra season? How are the two connected? You might know Van Liere by his Instagram nom de plume — @TheFlyingBassoonist. He’s a professional bassoonist who plays in two local orchestras. In fact, the bassoon paid for his graduate school in Scotland. And it’s in Scotland where he developed a love for craft beer. That’s some crazy six degrees-type stuff right there. The “Flying” component of The Flying Bassoonist is because he’s a pilot and builds airplanes in his garage. But we’ll get to that. Let’s peel back some of Van Liere’s layers. Van Liere, 38, was born in Utah but, following his parents’ divorce, spent many of his formative years in North Carolina. Ahead of the season-opener for the Salt Lake Symphony. 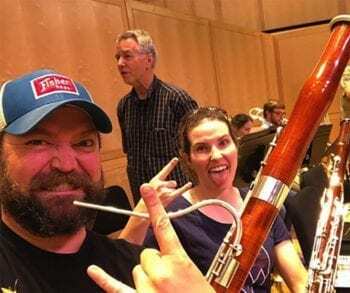 So in junior high he decided to take up the bassoon — a not-so-common woodwind instrument that “kind of looks like a bedpost.” It shares some similarities with the oboe, Van Liere says. At age 14, he flew to Utah to visit his dad, who gave him a job helping to demolish and rebuild offices in the Judge Building. Van Liere worked for five bucks an hour, 10 hours a day, six days a week with a laser-like focus on one thing. Four months of playing and Van Liere got into the North Carolina South Central District Honors Band. A couple months later, he joined the State Honors Band. “From there, I decided I’d like to do this professionally some day,” he remembers. Now, he’s part of two Utah-based orchestras — the volunteer Salt Lake Symphony and the professional Sinfonia Salt Lake. Great news, for sure! But didn’t we mention something about the bassoon and Scotland and craft beer? Bonus: Subscribe to the Utah Beer News Podcast and listen to the full interview with Ryan Van Liere. In it, we dive into more detail on The Flying Bassoonist’s many interests, as well as talk about his experience at The Great American Beer Festival. After moving back to Utah and graduating from Cyprus High School, Van Liere attended the prestigious Eastman School of Music in Rochester, N.Y.
As he finished his undergraduate study, the Royal Scottish Academy of Music and Drama (now known as the Royal Conservatoire of Scotland) approached him to audition for its program. “I actually had no plans for graduate school, but I thought I’d give it a try,” Van Liere says. He got accepted. The Glasgow-based school waived tuition and provided him a £5,000 living stipend. 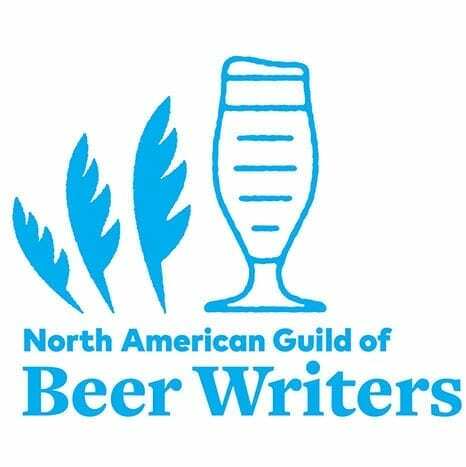 It’s during this time — after four years spent drinking Genesee and Labatt Blue and Molson Ice in upstate New York — that Van Liere dives into the world of craft beer. 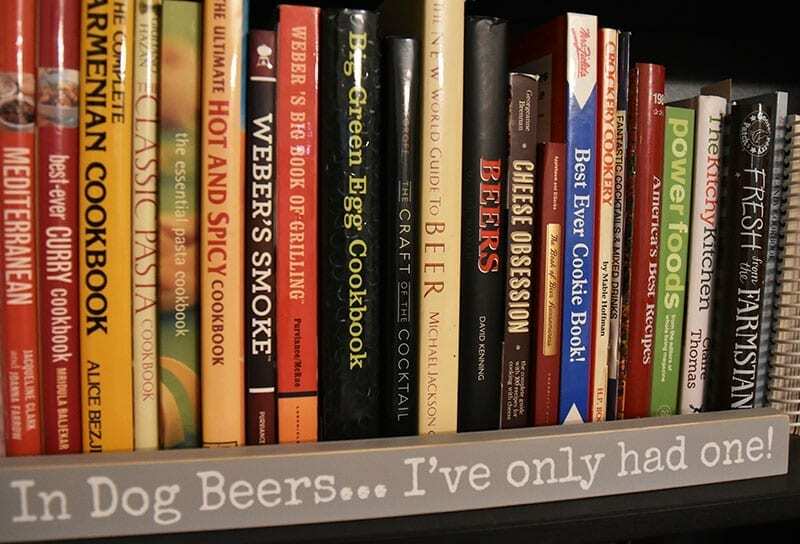 Van Liere started frequenting “off-licenses” — liquor stores — and purchasing beer by the bottle instead of by the case. Hobgoblin and Tennent’s were two brews he remembers fondly. “Luckily (the school) gave me my stipend in installments or it would have run out too soon,” Van Liere laughs. 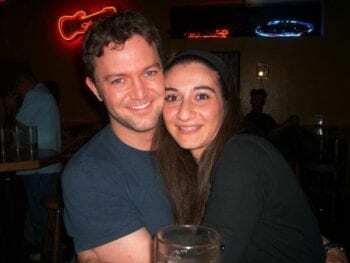 Ryan and Leza, about a month after they met, in 2007. 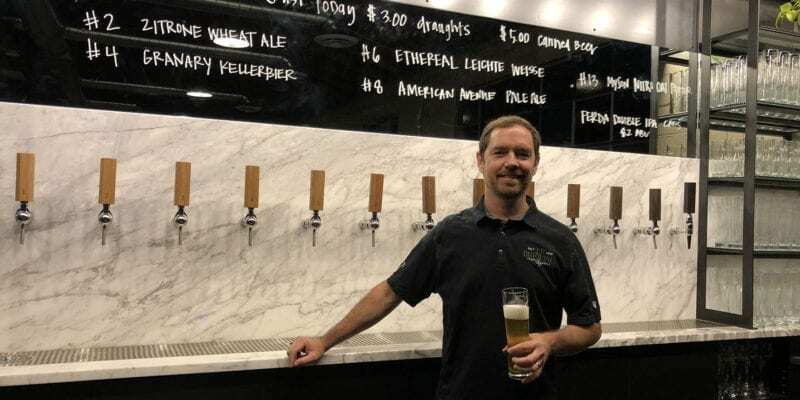 The craft beer scene in Utah was still fledgling when Van Liere moved back in the mid-2000s. 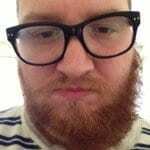 He got a job at an investment bank and it’s there that he overheard a woman say she loves beer and buffalo wings. Thanks to YouTube, Van Liere educated himself on the process and scribbled out a recipe. One problem: He didn’t own a deep fryer. 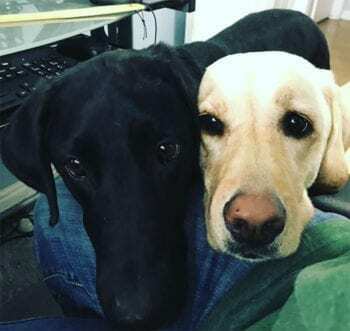 Cato, left, and Clove are Ryan and Leza’s labradors. 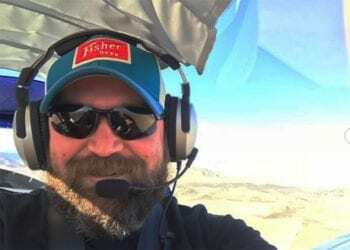 Long story short, the wings turned out great, the two went on more dates, and earlier this month Van Liere and his wife, Leza, celebrated their 10-year wedding anniversary. Leza, whose family is Armenian, introduced Van Liere to Armenian beers such as Erebuni and Kotayk. Some, he says, can be found at Utah liquor stores. 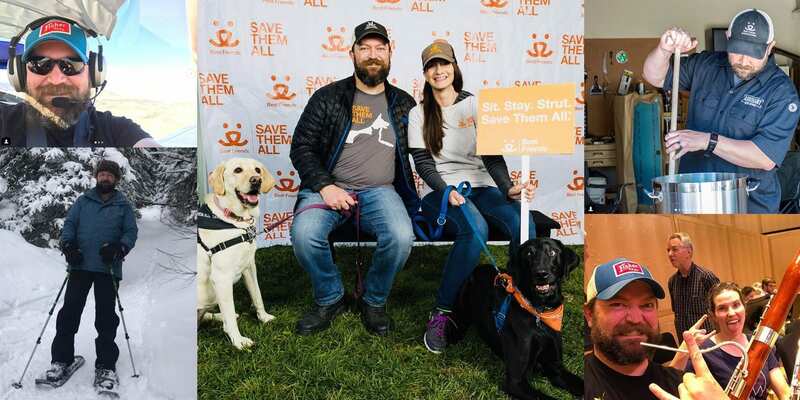 The couple lives in Midvale, Utah, a suburb just outside Salt Lake City, with their two labradors, Cato and Clove. 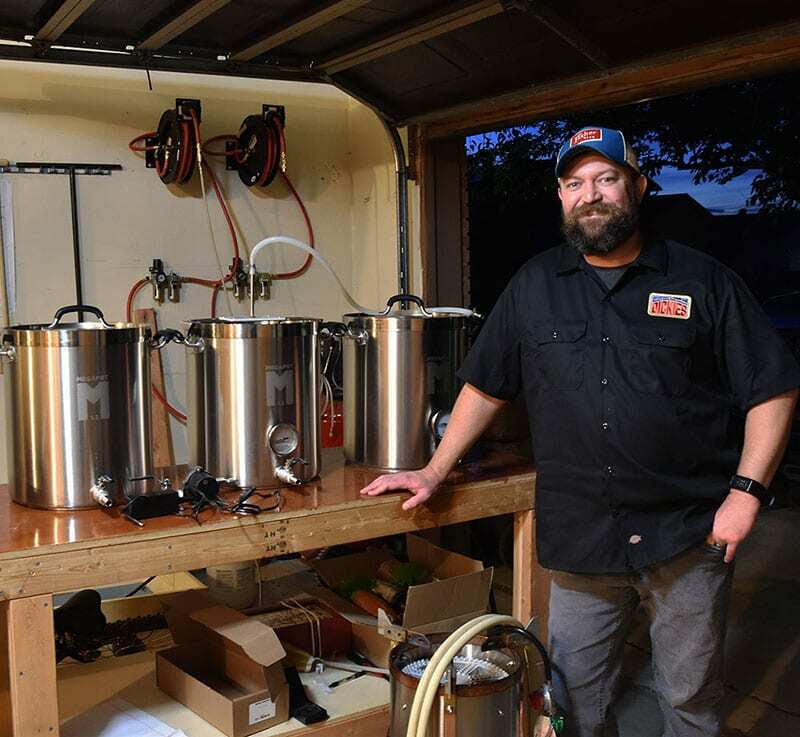 Van Liere, like many homebrewers, started his homebrew career with a Mr. Beer kit. He brewed one batch in 2014 and decided he could do better. In fact, for his first beer, he didn’t opt for the suggested plastic screw-top bottles. He wanted legitimate glass beer bottles. And that’s what got him hooked. 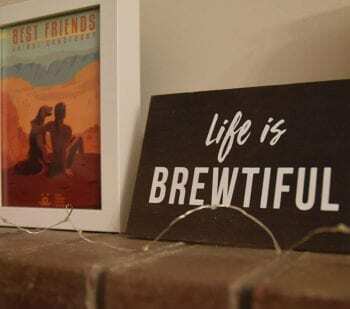 A trip to Salt City Brew Supply in search of a bottle capper opened his eyes — and nose — to a whole new homebrewing world. For his next batch of beer, he returned to the homebrew shop and purchased a starter kit. 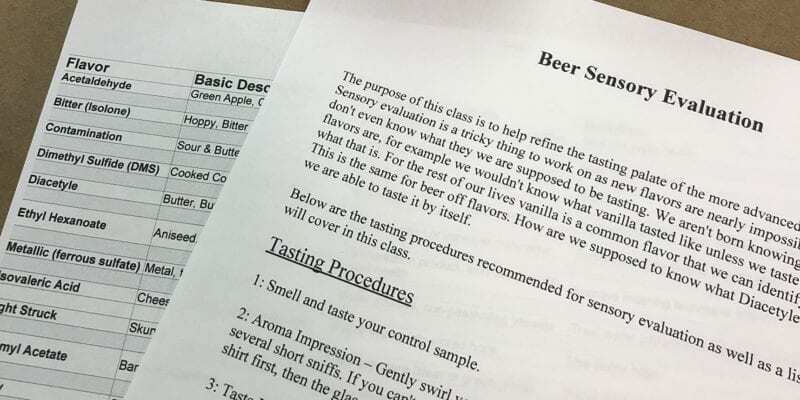 He attended some how-to-brew classes and then brewed a Belgian Wit extract kit. 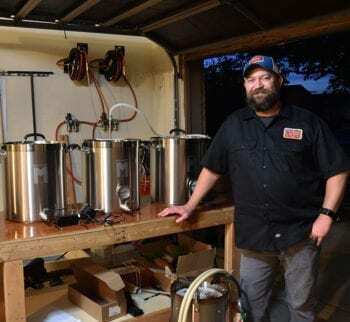 After three extract brews, he jumped to all-grain brewing. His current in-garage setup is perfect for his “spectacle” brew days, the last one of which featured a Scotch Ale named Too Big for Me Kilt. When not brewing, Van Liere and his “brew crew” schedule Friday lunch meetings at local breweries. He’s impressed with what he’s seeing — and tasting. It’s not all one-note beers, as outsiders might perceive. Tune In: Subscribe to the Utah Beer News Podcast and listen to the full interview with Ryan Van Liere. 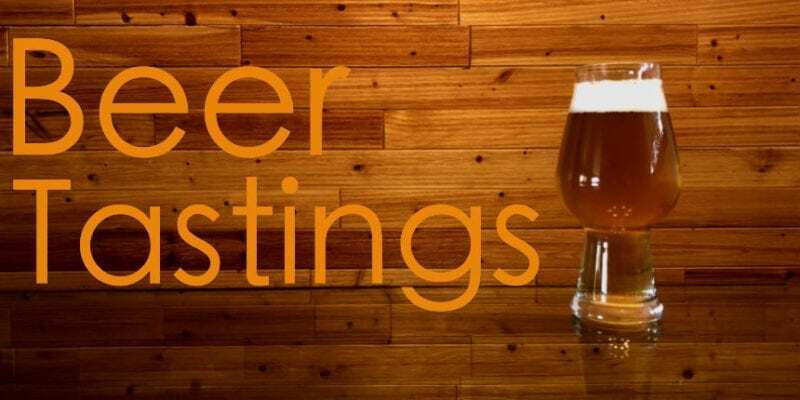 In it, we talk more about the Utah craft beer scene as well as talk about his experience at The Great American Beer Festival. 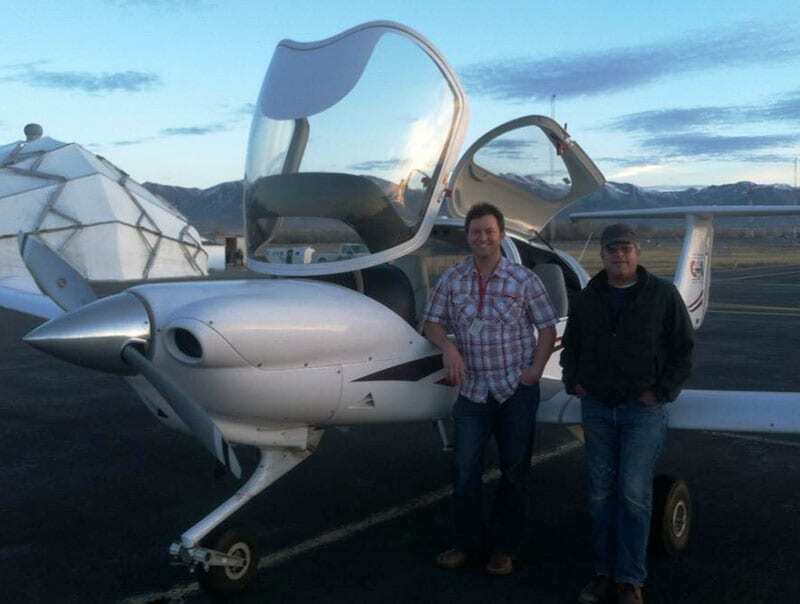 Ryan and his dad on the day of Ryan’s first solo flight. We’d be remiss if we didn’t at least touch on the first half of Van Liere’s Instagram handle. 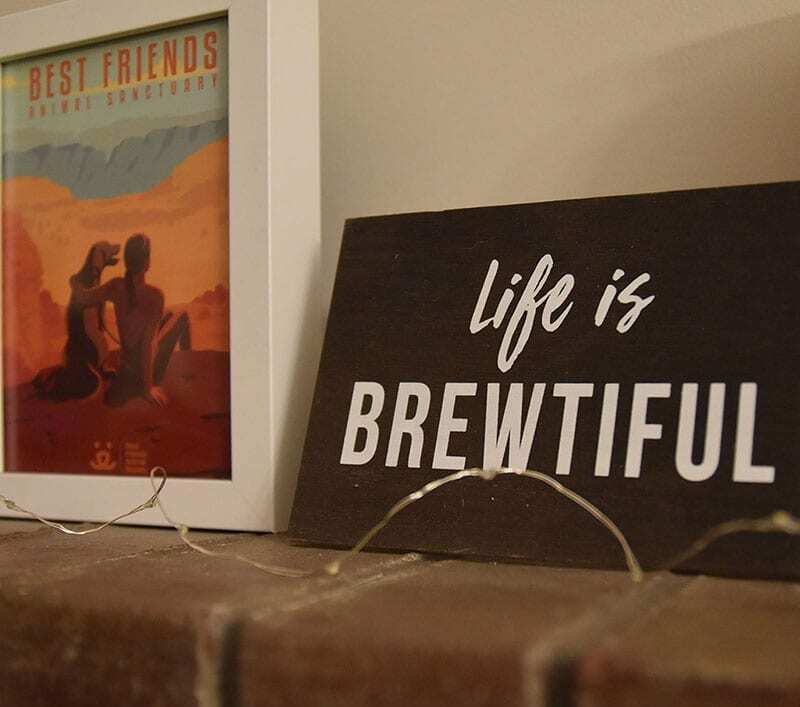 You can listen to more by subscribing (for free) to the Utah Beer News podcast. His grandfathers and an uncle all piloted airplanes, though not commercially. Van Liere loved building model planes growing up, and a few years ago, he got his pilot’s license. “I got my pilot’s license shortly before I started homebrewing. There’s no real correlation,” he says, with a laugh. His big dream, which is currently in progress, is to build an airplane. 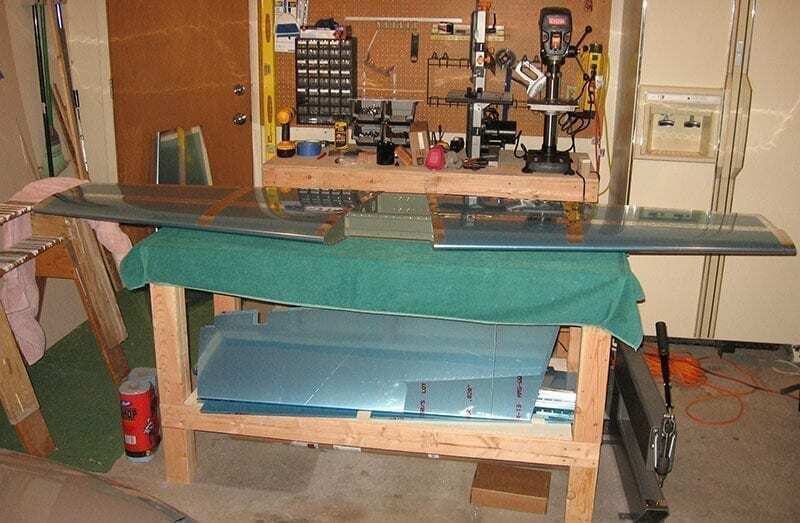 Van Liere is putting the pieces together for a Vans Aircraft RV-7A. It’s a side-by-side two-seater that cruises at 200 mph and is acrobatic capable, he says. Flying airplanes, playing the bassoon, and brewing beer. Toss into the mix a love for animals and a passion for the outdoors, and well, Instagram handles just can’t include that many characters. Airplane build in the garage. 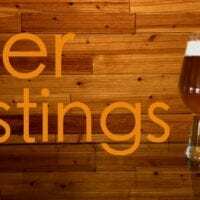 This entry was posted in Blog, People and tagged homebrewer, Ryan Van Liere, The Flying Bassoonist. Bookmark the permalink.